In Singapore, consumers and businesses have the ability to purchase shipping containers to use to store or to ship products and assets into. There are many different products available, to suit virtually all needs for these containers. As you consider your options, plan to make some decisions about the products that are available to you. Most importantly, keep in mind that companies like BSL Containers can help you to meet any of the needs that you may have. Do you need to store products outside of your warehouse for renovations, improvements or just for extra space? If so, there are a number of products available that can help you to accomplish those goals. For example, if you need to store merchandise outdoors, there are a number of storage containers that can help to protect your merchandise without allowing the wind or rain get to it. Do you have a need to ship your products from one location to the next? Many companies use these shipping containers to move products from one place to another, to allow them to easily ship products to their retail locations or perhaps to their international headquarters. Both domestic and international options are available to aid in providing you with easy and secure storage. Is there a need to house supplies for some time? Today, it is harder to fathom the cost of adding new buildings to some areas. In Singapore, you may have the option of using storage containers on the grounds as additional warehouse space. Most of these items can withstand the elements and, when you need something specialized, you can find that as well. Do you need specialized needs for your merchandise or products? Bulkhead and military storage options may be needed. You may need house storage or even reefer storage. In any of these situations, specialized equipment is really the only option that fits the bill. Invest the time in designing shipping containers that meet your needs, or use quality companies to help you to meet those needs. For those in Singapore, there are many different options available for shipping containers and storage containers. 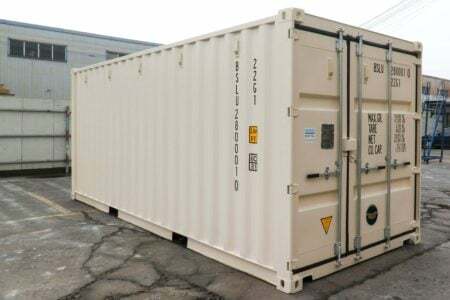 When shopping for them, be sure to turn to the companies that are most likely to fill your needs, including BSL Containers, a trusted company able to provide you with the storage and shipping needs you have throughout the country and around the world.